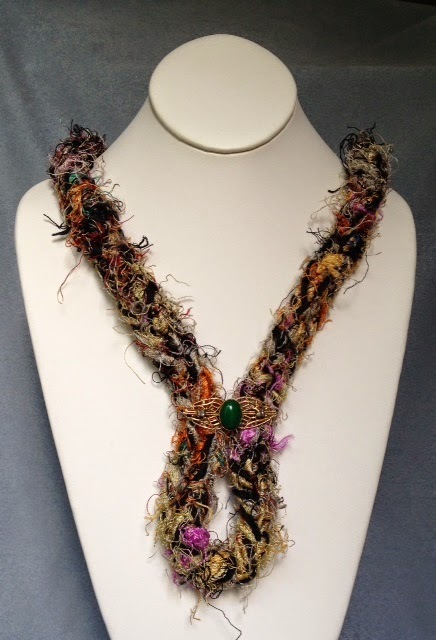 Here are examples of how I used both the sari silk strips and recycled sari yarn from Nova Scotia. These materials were lovely to work with and so soft to wear. A unique product to enjoy anywhere!